All campsites facilities differ. 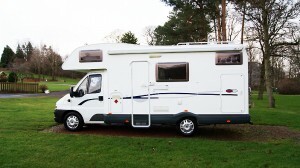 Please ask if the campsites you are looking to visit cater for motorhomes. Grey water, fresh water and chemical toilet points are advantageous. Prices for campsites vary and we would always advise to get a pitch including electrical hook-up for the extra couple of pounds. The price often varies from season to season and a site with bar/restaurant/swimming pool facilities are usually found to be slightly more expensive. We always check the internet for campsite information and pricing before arriving (where possible). Please note in the popular months, some sites will offer a minimum 3-night hire period. This is not unusual but there are lots of sites that will not. Usually when you arrive you report to reception and ask for an available pitch. 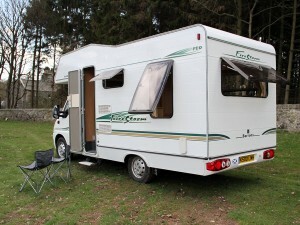 It happens on occasion that reception is closed (wardens often clean the toilet blocks and maintain the site solo), so we advise you to park up the motorhome in the appropriate spacing outside the reception block (so as you are not blocking people entering or leaving the site) and walk to find a pitch for yourself and then report back to reception. Please note most receptions have instructions on the front door for new arrivals (or a contact number). Be careful when you look for a free pitch because it might be taken already. Usually the owners leave their electric cable or a chair to let others know the pitch has been taken. We have also seen people who had a number plate or a ‘This pitch is taken/reserved’ plate on a little stick to let others know the pitch has been taken. Please try to respect these signs and choose your pitch wisely and you won’t get into trouble. Some people like being right next to the toilet and shower block, while others like ourselves prefer to be further away. It is personal preference. Mobility or availability often dictate some pitches. Depending on the season you might want to book in advance. A good tip is to use an app or POI file on your navigation system, smartphone or iPad if you have one. We personally usually book sites, just to be sure we have a pitch or because we want to stay a few days longer. The fun however of touring in a motorhome is often not knowing where you end up and you don’t want to search for too long to find a campsite. So, booking in advance can be a good idea, especially when the season progresses, and campsites become busier, or depending on how busy the route is that you are travelling. 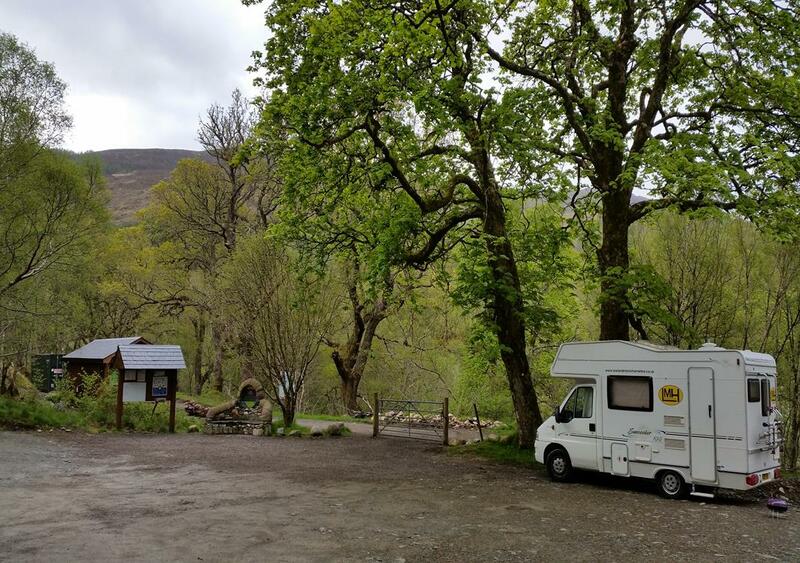 We always advise our customers to visit a couple of campsites on their travels, mainly to fill up with fresh water, empty your toilet cassette in an appropriate chemical disposal point and take advantage of the facilities while visiting. If campsites are occupied or if you would rather save your money you can always go Wild Camping in Scotland. It’s a right you have in Scotland but there is more and more opposition against it. Quite a few parking places have signs that say “Overnight Parking is not Allowed” or other measures have been taken to make it impossible to park. Please always observe height restrictions, often there are height barriers in place – The height of your motorhome will be displayed on the sun visor, do not ignore these warnings! Please do not forget, Scotland is quite remote and the further north and west you go in Scotland the easier it is to find a good place to park your motorhome. Free advice would be to always park somewhere level and where you feel safe. Obey warning signs and never park near water that may impede the motorhome or leave you stranded. A must is, while wild camping in Scotland is always take you rubbish away with you or use the bins provided. Do not leave a mess behind you. Be respectful at all times. Come, enjoy and fall in love with our country. It is spectacular, and the views are breath-taking.